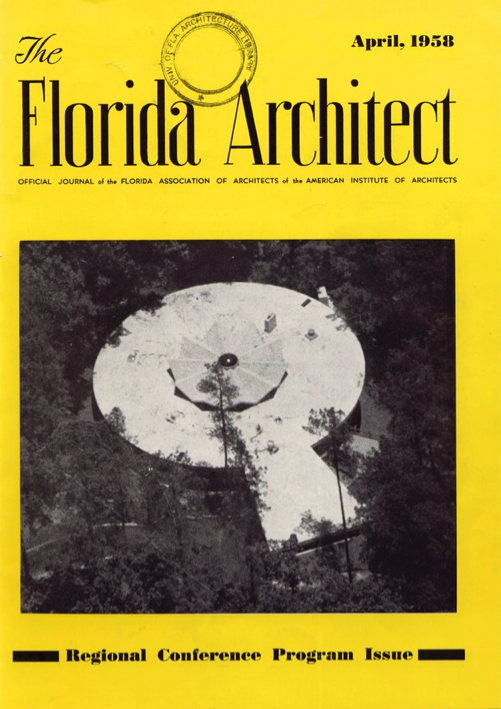 Cecil Alexander’s circular house in Atlanta, on the cover of Florida Architect in April 1958. Finished in 1957, the house was featured in Life magazine in November of that year, and in Progressive Architecture in November 1959. While they’re not, strictly speaking, unique — a badly overused word in real estate — they’re still an unconventional choice in our rectilinear world. 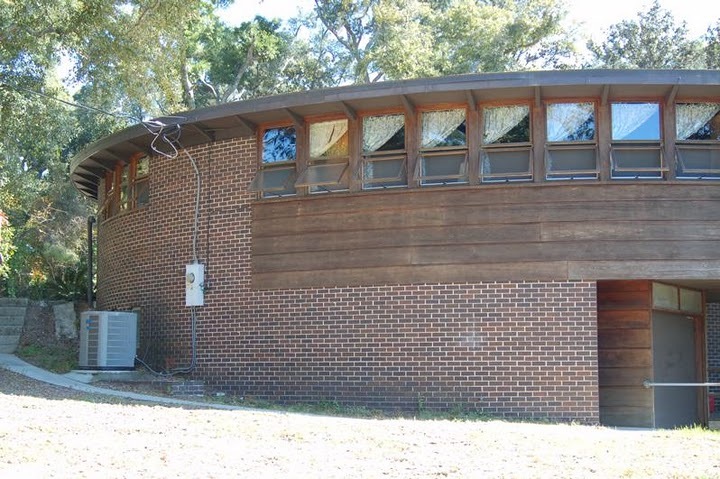 The house was designed in 1960 by architect Jack West, a prominent member of the Sarasota School of Architecture, for artist Hilton Leech. John Lautner, a prominent disciple of Frank Lloyd Wright, was attracted to round forms. 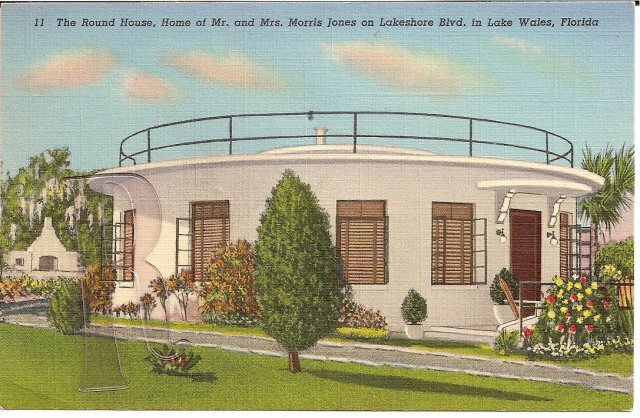 His round house in Pensacola, Florida, built in 1958, is said to be in near-mint condition today. Reflecting the period in which the house was built, its basement apparently contains a bomb shelter with a 30-inch-thick reinforced concrete ceiling, a hand pump well, a charcoal-filtered air system, and an escape tunnel. 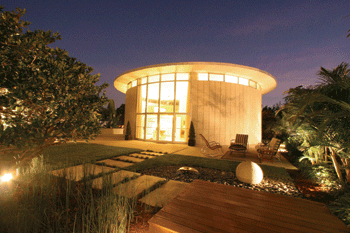 Nearly all of Lautner’s other structures, including some round ones, are in California. I wonder if it still exists. I like the casement windows and streamlined cruise ship detailing. Visitors to Lake Wales, please look for it and let me know!